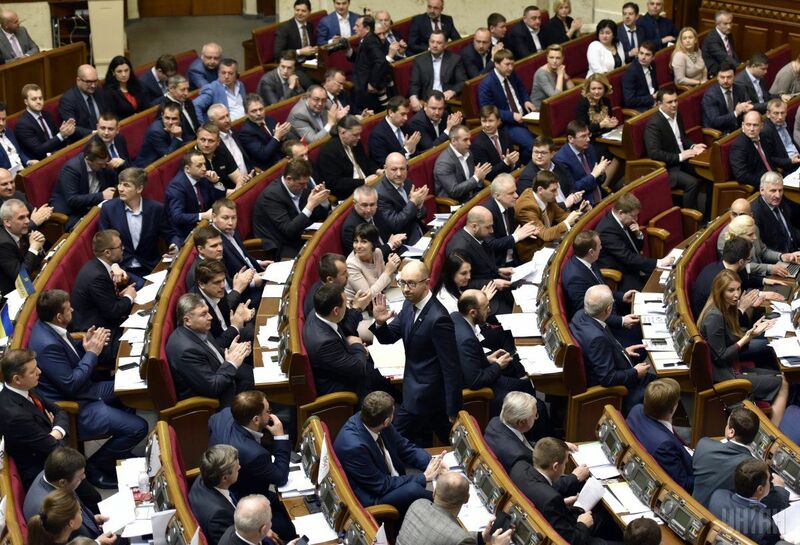 The Verkhovna Rada adopted a resolution on the formation of the Cabinet of Ministers (No.4424). According to UNIAN, voted 239 deputies out of 367 MPs registered in the session hall voted for the move. As noted by Rada Speaker Andriy Parubiy, the motion proposes appointment of nominations offered by President Poroshenko (meaning, candidates for the posts of Defense Minister and Foreign Minister), and the candidates promoted by Prime Minister Groysman. The proposed composition of a new Cabinet was personally voiced by PM Groysman at the session hall. “I’d like for it to be the government, which, having your support, would return confidence of the people in the authorities in general,” said Groysman. Minister of Energy and Coal Industry – Ihor Nasalik (between April 2002 and March 2005 – MP, used to be chairman of subcommittee on oil industry and petroleum products supply of the Rada Committee on fuel and energy complex, nuclear policy and nuclear security). At the same time, the nomination for the post of Minister of Health has not been voiced. After this, the ministers vowed allegiance as Groysman voiced it from the rostrum.